Perhaps you're looking for my academic web page or my research lab's web page. If what you're looking for is some dated information about me, though, you're in the right place! I'm an associate professor at the University of Michigan. I have a BS, MEng, and PhD from MIT in Computer Science and Electrical Engineering. I've spent time working at a number of startups, including Permabit, Inc., where I was a senior software developer and was a co-designer of their high-peformance, journaling local file system. I've also worked at Trenza, Collegescape, and a few others not worth mentioning. I was co-founder of MIT's Mobile Autonomous Systems Laboratory (MASLab), an autonomous robotics contest held at MIT. I spent a great deal of time organizing, fund-raising, designing hardware, and teaching during its first four years, and it is now surviving without me! 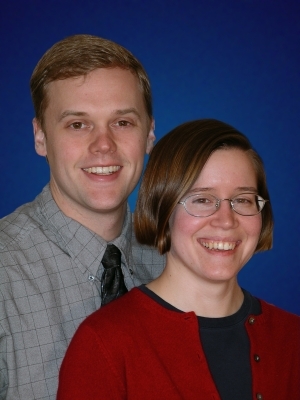 I spend much of my time with Hilary, who is a chemical engineer. We live in Ann Arbor, surrounded by trees, frogs, deer, and wild turkeys. Those are outside. Inside, we have three cats: Bean, Sydney, and Pieces. Our dedicated cat tormenter is our young daughter Cleo. She's adorable, but she's growing so fast that a picture seems pointless. We also have a son now! I'm an INTJ. If you're into that sort of thing, that will explain a lot about me. I play violin. 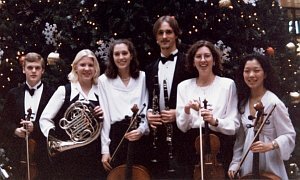 I currently play with the Ypsilanti Symphony, and previously played in the Cambridge Symphony Orchestra (CSO), MIT Summer Philharmonic Orchestra, and the Joy Street Quartet. 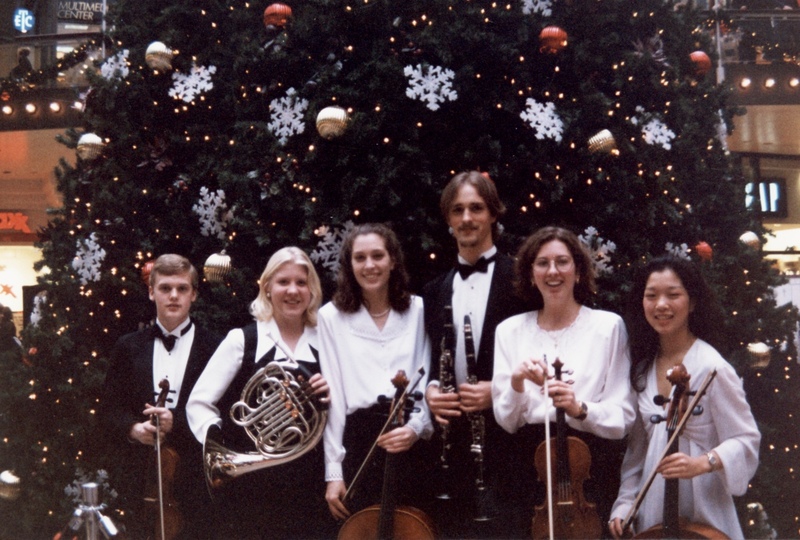 I've previously played in the MIT Symphony Orchestra, and long ago, in the Greater Twin Cities Youth Symphony (GTCYS). 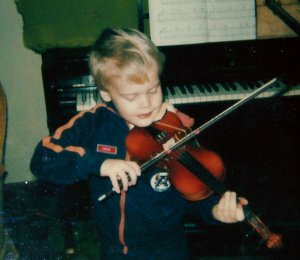 I've been playing since I was five, but like many players, was not consistently devoted. I'm fairly competent--I'm presently the concert master in the YSO, and frequently served as concert master with the CSO. 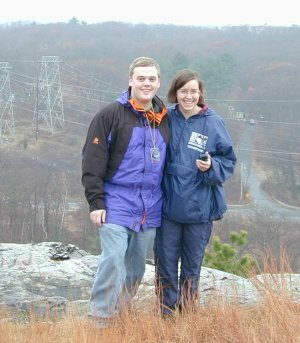 Here's a picture of Hilary and me during a little geocaching outing. Yes, we found the cache. The cache was stupid, but the hike was fun. Sometimes I build things. Other times I cut them up. In this case, I'm grinding off excess shaft from a robot I built. "Edwin" is the 134th most popular male name in the US, according to the US Census, with a frequency of 0.148%. I'm a lot more special than your typical "Edward" (rank 19, frequency 0.779%). "Olson" is at #175 with 0.05%. Ann Arbor, Michigan is a college town with a population of 113,934. My hometown, Bloomington, MN, has an area of 35.5 sq miles and a population of 85,172. I'm from Bloomington, MN. Minnesota's third largest city, Bloomington is the home of the Mall of America, which is only about a five minute drive away from my childhood home. I think there's still a sheep farm bordering the mall on one side. I went to Kennedy High School and did usual high school things... usual for a geek. I was captain of the math team, a student attorney for our state finalist mock trial team, one of the editors of the yearbook, captain of an amazingly incompetent quiz bowl team, and co-founder of a short-lived school newspaper. Probably lots of other geeky crap too. I also was on the varsity cross country ski team, which sounds impressive but isn't-- the team was so small that anyone who joined was automatically on varsity. Here's some archival material from my past-- most of it fairly embarassing. Ed's Notes: This is a collection of random little bits of information which may be helpful to people. I don't expect people to browse through this manually, but for search engines to index it for me. Last modified: June 13 2014 10:13:15.